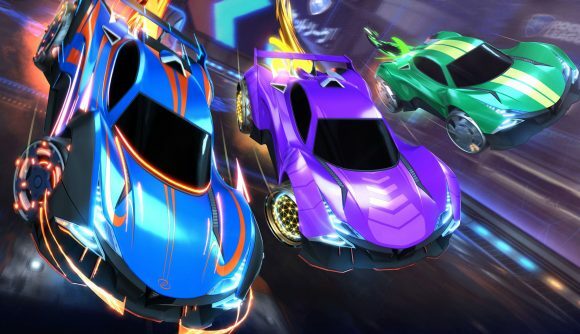 Rocket Pass 3 has been unveiled for Rocket League, and it brings a big change for the pass’s format. You’ll now have a set of challenges to complete every week, which will level you through the pass’s tiers faster than normal. Otherwise, it works just as you’d expect from previous Rocket Passes, with a handful a free items everyone can earn and a bunch more premium rewards for those who buy the pass. Rocket Pass 3 will run from April 17 until July 29. Challenges will only be active for a single week, so you’ll have to complete them in the week they launch. If you complete a premium challenge before you buy the pass, you’ll still get those bonus tier points if you do end up purchasing it. You can see some of the new rewards in the trailer below. A full list of rewards is available on the official site. Rocket League player counts have been among the most consistent on Steam for years now, and the updated Rocket Pass seems to offer some smart incentives to keep them coming back.